Emile Ratelband wants to be younger. He wouldn’t be the first 69-year-old man to say so but what makes Ratelband unusual, to put it mildly, is that he has just launched a lawsuit in the Netherlands demanding to be legally recognised as only 49. If a trans woman can identify as female and change her official documents accordingly, he argues, why can’t he change his registered date of birth and thus get more dates on Tinder? After all, his doctor says he’s very fit for his age, and if he could only claim to be under 50 then surely “with this face I will be in a luxurious position” with women. This makes significantly more sense as a PR stunt, obviously than as any sort of argument. Age is not a mutable fact or a social construct, and “age dysphoria” is – unlike its gender variant – not even remotely a thing. You’re born when you’re born and if other people make madly unfair assumptions based on something as arbitrary as a date then it’s the assumptions that need changing, not birth records. And unless he’s arguing that only as a born-again fortysomething could he finally get women in their 60s to look twice at him, then Ratelband himself seems guilty of some pretty dodgy assumptions about age. Older women, so often spurned on dating apps by vain old goats who stubbornly refuse to “settle” for someone their own age, may not shed too many tears over this one. But in a professional context, at least, you can see his point. Ratelband is described as a motivational speaker and media personality – jobs associated with almost bumptious levels of vigour and energy. If he knocked a couple of decades off and used an old photo, he might well get more work. People make blithe assumptions about a man over 60 – bit past it, set in his ways, no longer ambitious but just hanging in there for the pension – that they wouldn’t dare make about a younger one. Although arguably they make even more such assumptions about a woman. 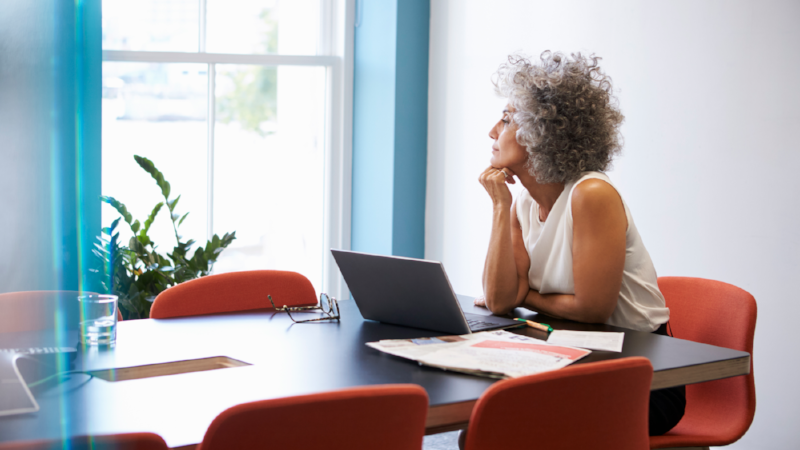 As the equalities select committee put it in a report on ageism last year, older men have it tough enough at work but older women “face prejudice that older men do not”. Women stop being considered for promotion around the age of 45, men a decade later, according to a report by the former pensions minister Ros Altmann. Female earnings peak on average at 40, men’s a good five years later. Both sexually and professionally, women are deemed to go “off the boil” earlier than men for some weird reason, which may reflect some employers’ preference for attractive young things around the place or simply the fact that historically women have retired earlier. The rage of the Waspi (Women Against State Pension Inequality) members – the generation born in the 1950s and 1960s who didn’t realise until too late that the government had deferred their state pension age – stems partly from the ageism that hampers their efforts to work for longer. How can they be too young to stop working, in the eyes of government, but still too old to hire for employers who haven’t caught up with the change? Nobody wants to think about all this until it’s staring them in the face, obviously. When Woman’s Hour did an item on this week’s equalisation of the state pension age for men and women, the host, Jane Garvey, admitted that the younger women on the production team had groaned when the whole thing was suggested. But in some ways those are precisely the women who should be thinking about it because the shift in retirement age has far-reaching consequences for their careers. Unlike the Waspi women, many of whom had long spells out of the workplace to bring up their children and so didn’t pay enough national insurance to qualify for the basic state pension, younger women are not a stay-at-home generation. Difficult as that can make the juggling years when their children are small, the payoff for it comes later in the shape of a poverty trap avoided. But many women still need to join the dots between what happens to them in working life and prospects in retirement. As the BBC’s China editor Carrie Gracie put it when she brought her equal pay claim, she’ll be feeling the difference between herself and male colleagues long after she’s retired; even a relatively small gender pay gap builds up over the years into a surprisingly big savings gap in old age. The biggest change created by all of us now working until we’re 68, however, will be challenging assumptions about sell-by dates. Which is why I’m oddly heartened by the Spice Girls’ chutzpah in hustling for yet another reunion tour (minus Victoria Beckham, for reasons presumably not unrelated to being part of an entirely separate multimillion-pound family brand now). Much ink has been spilled wondering why four women in their 40s – in pop terms practically dead, although still respectably youthful in any sane profession – are dragging themselves back out there to recreate the photoshoots of their 20s, but the bleeding obvious reason is for the money. And frankly, if the grand old men of rock and pop are still flogging their back catalogues to death, why shouldn’t the Spices be gigging into their 60s, like Mick Jagger only in heels? Anything to push the boundaries. And one can’t help wondering if that’s really what Ratelband is doing. He must know, surely, that this lawsuit is doomed. But if the real point was to whip up dollops of career-boosting free publicity, while making people think harder about their casual assumptions – well, then it would have paid off in spades. Who says old dogs have no new tricks? This article was written by Gaby Hinsliff from The Guardian and was legally licensed through the NewsCred publisher network. Please direct all licensing questions to legal@newscred.com.